FlipPix Art – Zoo is an iPad game developed by GabySoft. 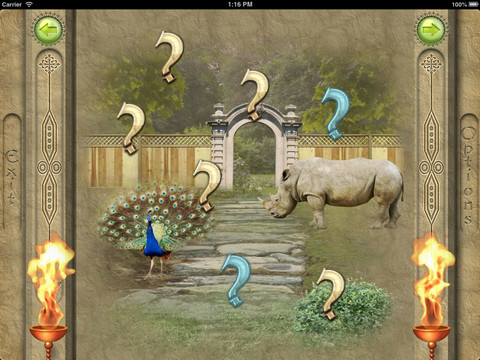 In this fun app, you can take on a whole pack of challenging puzzles and unveil the hidden pictures. After entering your name, you can dive right into the action. Alternatively, you can watch a tutorial that will help you get your bearings in FlipPix Art – Zoo. 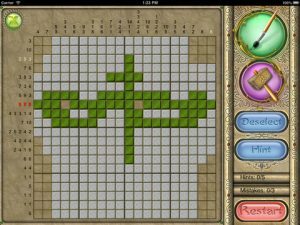 In a lot of ways, FlipPix Art puzzles are like the “arty” version of Minesweeper. Your goal is to determine which tiles need to be filled, and which are empty. You’ll need to look at the numbers alongside each side of the grid to determine which squares need to be colored in. Some tips to help you along your way: start with the biggest numbers first, work from the outside in, and don’t be afraid to hit the hint button. You get three hints per puzzle. You also only get three mistakes: make too many mistakes, and it’s game over! 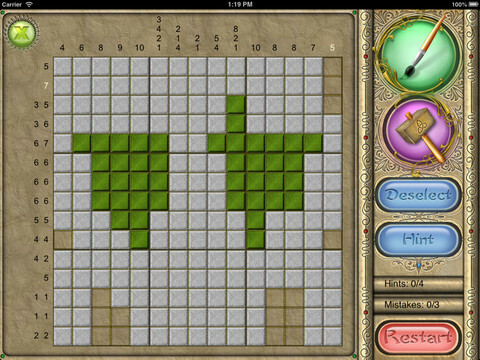 There are four main puzzle sizes: 5×5, 10×10, 15×15, and 20×20. Start with the 5×5 puzzles, or really challenge yourself with a 20×20. In addition to this “Zoo” flavor of the app, FlipPix Art also comes in Jurassix, Holidays, Model Plane, Kids, Nature, Shops, Professions, Home, and Castle, among others. Many are free, while others cost $1.99 apiece. This game probably won’t appeal to people who like fast-paced games. If you’re a fan of logic puzzles or crosswords, however, you’ll probably have the cool head needed to beat these puzzles. 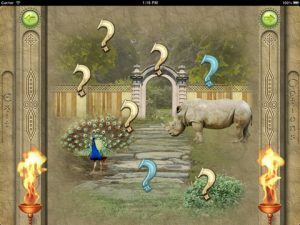 If you’ve been craving a puzzle game that’s part Minesweeper and part Sudoku, FlipPix Art – Zoo is an iPad puzzler that’s well worth your attention. This game requires logic, patience, and stamina in equal measure, but it is quite addictive once you get the hang of it. 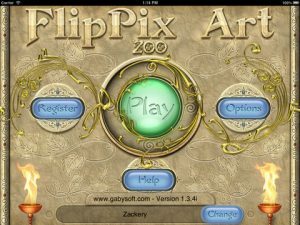 FlipPix Art – Zoois compatible with iPad. Requires iOS 5.0 or later.